This week was a week of models. 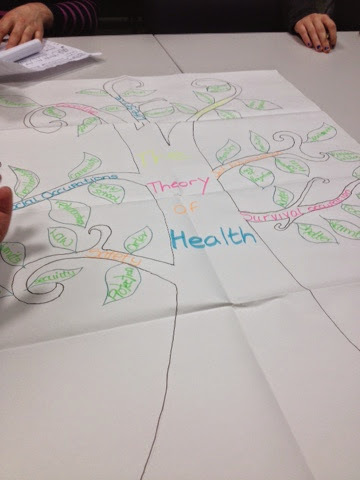 Thursday was focused on our learning sets presenting back our occupational models of health... Our poster is above. We based ours around Maslow's Hierarchy of Needs as the parts that aid a person to be able to engage in occupation. Friday was focused on MOHO, with a guest speaker who uses the model in practice. It was really good to see how the theory connects to practice. We also found out our placement allocation for PP1 in January... Looks like mines is a peadatrics placement but still need to phone them to get more details... Im really excited as it is one of the specialities I have a keen interest in.